Poker is much more than a game of cards – it’s a game of maths, psychology, human behaviour and instinct, and one that requires the utmost concentration and thought about both the cards on the table and the individual opponents sitting before you. Obviously, reading a poker player’s game is harder in the online domain (an advantage of playing poker on the Internet), but is still more than possible through the style of play and the outcome of given hands versus the strategies employed by that player. Broadly, the longer you play, the more likely you are to understand your opponent’s next moves – but how do you go about actually getting to read their ‘game’? Body language can say a great deal about the hands and mood of an opponent. Indeed some top players prefer to wear sunglasses to cover up their eyes to prevent reading of their body language and eye movements when playing poker. The expression, to keep a poker face, is such for a good reason – you need to keep as emotionless and as detached from the cards in your hand as possible. At the same time, you also need to be looking for chinks in the armour of your opponents, which could give away some clues as to the cards they are holding and their anticipated next move. Work out the style of play of those you are playing against. Are they making sophisticated calls, or are they playing the game by the book? Look for obvious plays, such as being overly bullish (confident) on strong hands and overly conservative on weaker hands. How often do they bluff? How convincing are they at creating the impression they have weaker cards when they go on to take the hand? How comfortable are they with their decision-making, and are they reckless in the way they play the game? 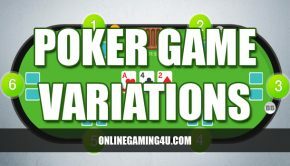 All these questions need to be buzzing around your head through the duration of a poker game, and you need to make assessments about your opponents as you go through to read their game and leverage any weakness to your own advantage. Similarly, look for a lack of focus – players that are expressing emotion or too heavily engaged in conversation are low hanging fruit, and can be made to pay big time for their lapse in concentration (provided you spot them first!). 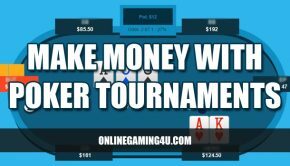 Reading a poker game is something you improve at with time, and something that will certainly stand you in good stead as a skill for future poker encounters. It’s not too difficult if you get in the right frame of mind – if you know what you’re looking for, you can play conservatively for the first few hands to establish a rhythm and feel for the table, which you can then use to capitalise on the weaknesses of your opponents. If you spot any of the key signs of weakness, you should subtly pounce and exploit them over the duration of the game for maximum gain, which will leave you to walk away quids in at the end of the night. Just make sure you don’t give the game away too early by adopting your own aggressive style! People say that things are easier said than done, but not in poker. Every little thing that a poker player does means a lot to his or her opponents. 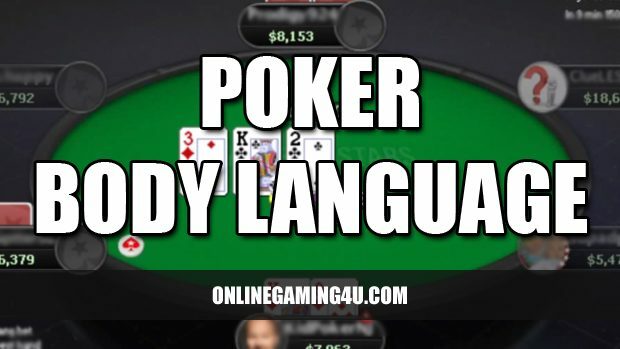 Being aware of your opponents’ body languages is essential when playing poker. Although these body languages look insignificant, it would tell you a lot if you have a great chance of wining the game or not. Examine their body language starting from the top. The eyes of your opponent may give you a hint about their current status in poker. This is the main reason why there are some professional poker players who wear sunglasses inside the venue. 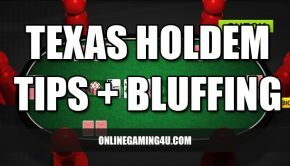 If a player looks at the hole cards (starting hand in Texas hold ’em) for a long time, there is a great possibility that those were premium cards. On the other hand, if they just give a short glance to their hole cards, they might be going to fold. So you don’t have to be surprised if you see one of your opponents watching and looking at your eyes during the game. There is also a valid reason why some players wear caps or visors whenever they play poker. Aside from making their eyes hidden from the other players in the table, these accessories would also hide their obvious facial expressions as well. If you happen to show that you are disappointed or not satisfied with the card, the other players will easily know that you have a weak set of cards. This is one of the reasons why professional poker players have already mastered the art of non-expressive face. However, there are times that it can be a very emotional game and it can be quite difficult to hide their emotions. Some of the normal human reactions that are not directly under a player’s control include muscle twitches, trembling hands, trembling voice, dry throat and more. Amateur players would not really mind these inevitable reactions, but professionals are always on the look out for it. If by chance you see a player who is breathing faster or do not know how to sit comfortably, it is likely that they have a great hand. However, there are also some bluffs where a player would hold their body still and hold their breath as well but they are actually holding a great hand. Do you remember your mother scolding you about your body posture and kept on telling that you should sit up straight? Well that lesson may come in handy especially if you are a poker player. A player who is slouching at his seat has a weak hand. They sit that way because they are not really feeling confident about their cards. On the other hand, if a player is holding a strong hand, they usually become attentive and sit very straight. But don’t mind those who are leaning forward because more often than not, they are just bluffing. You must be careful when interpreting the body language of your opponents. Some advanced players may easily act confident even though they are not holding a great hand. Others may simply slump at their seats when actually they are have a great hand. Looking for somewhere to test out body language reading? Try recommended poker sites Paddy Power or Coral. First published 10 Aug 2009. Updated 22nd January 2018.